The camera market is currently divided into three segments, the professionals SLRs, the new mirrorless form factor and the compact cameras. 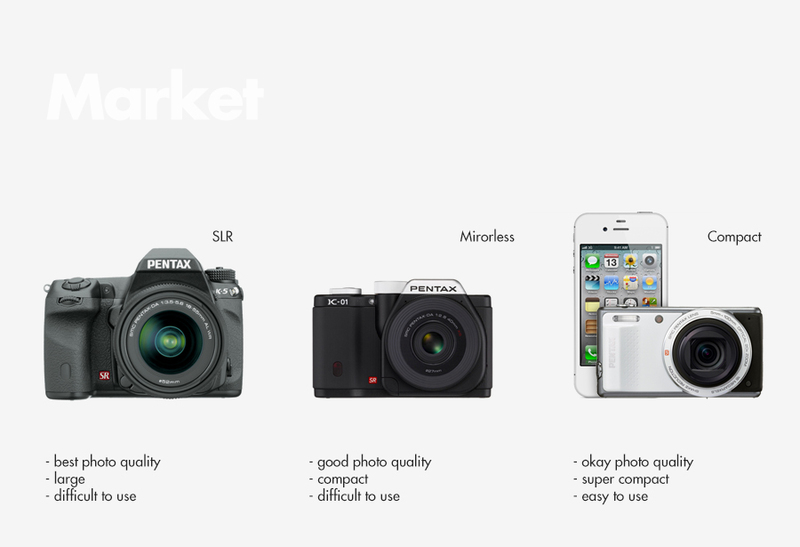 The mirrorless cameras are in the Goldilocks zone, where image quality and size are nicely balanced. 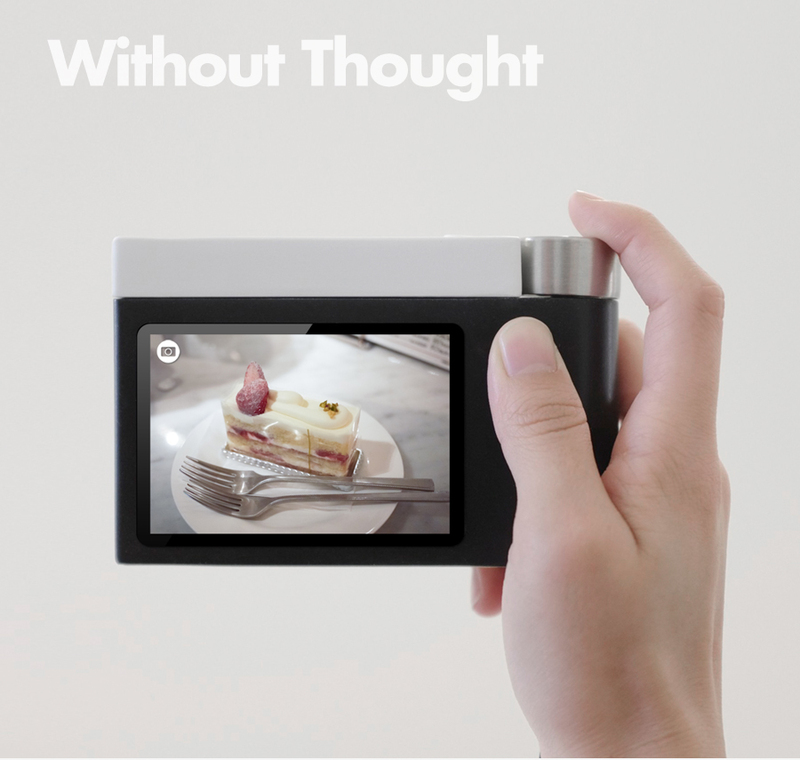 They however lack ease of use, as use the same convoluted UI paradigm as SLR cameras. Some sketches from the process. For this project, I wanted to do something new. 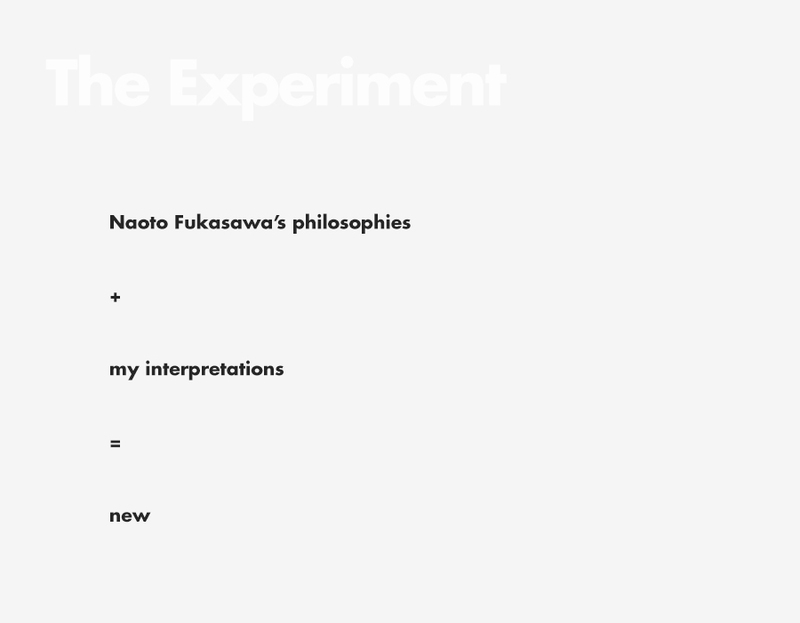 I decided to borrow philosophies from another designer, in this case, Naoto Fukasawa. This is a validation of the commonly accepted idea, “everything is a remix”. The first idea taken from Fukasawa is memory. 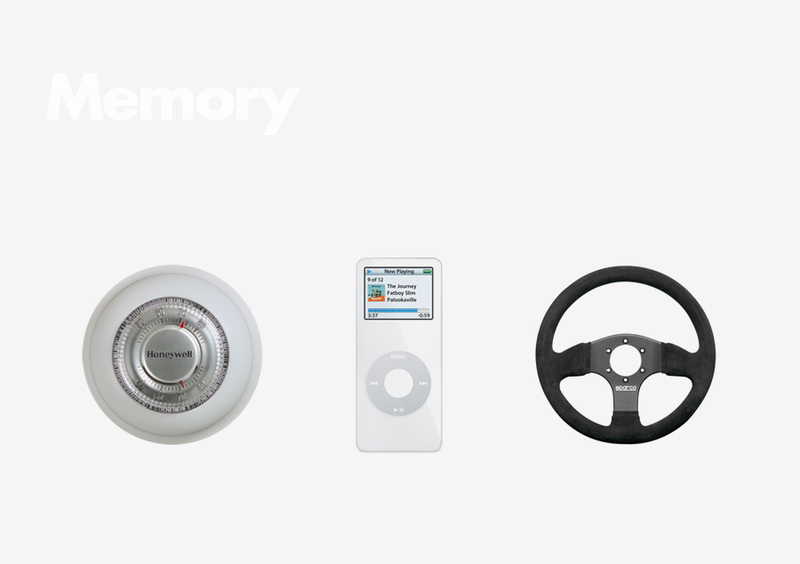 Things we remember can add an emotional and contextual value to a product. During my search for the ideal interface for the camera, I realized a universally understood control mechanism that could be used: the wheel, or dial. 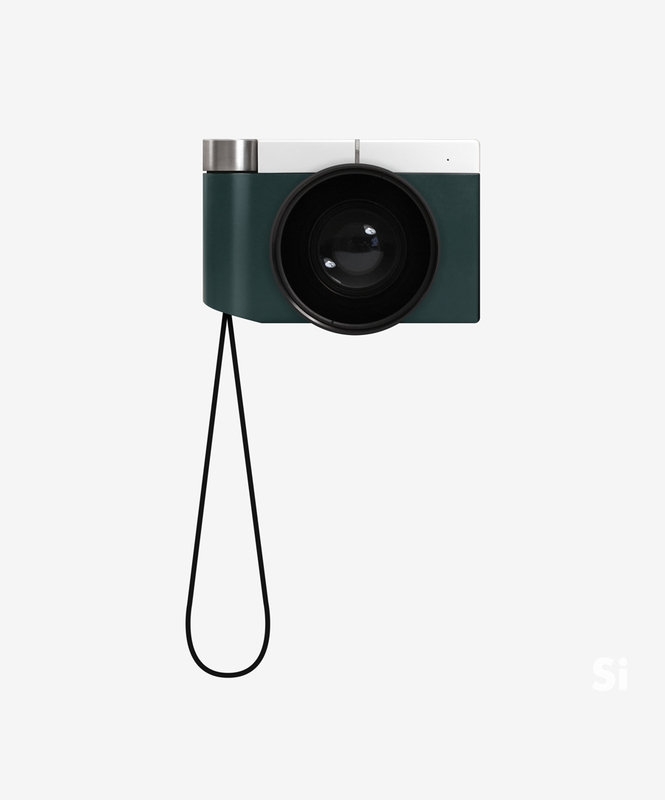 Si features a simple dial responsible for adjusting the exposure of the camera. It is a natural interaction that is immediately understood by any user. Capturing the photo is done by pressing down on the same dial. The touch display of the camera displays the current exposure level. Here, we can see the simplification of Si’s interface. The camera is able to intelligently capture the ideal photo by keeping the aperture wide as possible and the shutter speed faster than 1/30s. Most usage scenarios are covered by giving the user the ability to adjust the exposure with the dial. Fukasawa observed how people’s use of products and environments can be dictated by their design. These behaviors occur “without thought”. Si is largely rectilinear in shape but feature smooth indentations on the top and back of the device that invite the user’s finger and thumb to be rested. As tools of man, the products we use must serve the user. Therefore, Si was designed to be dignified and respect the user. To warn the user of the bright flash, the top of the camera is colored in white to contrast with the body. 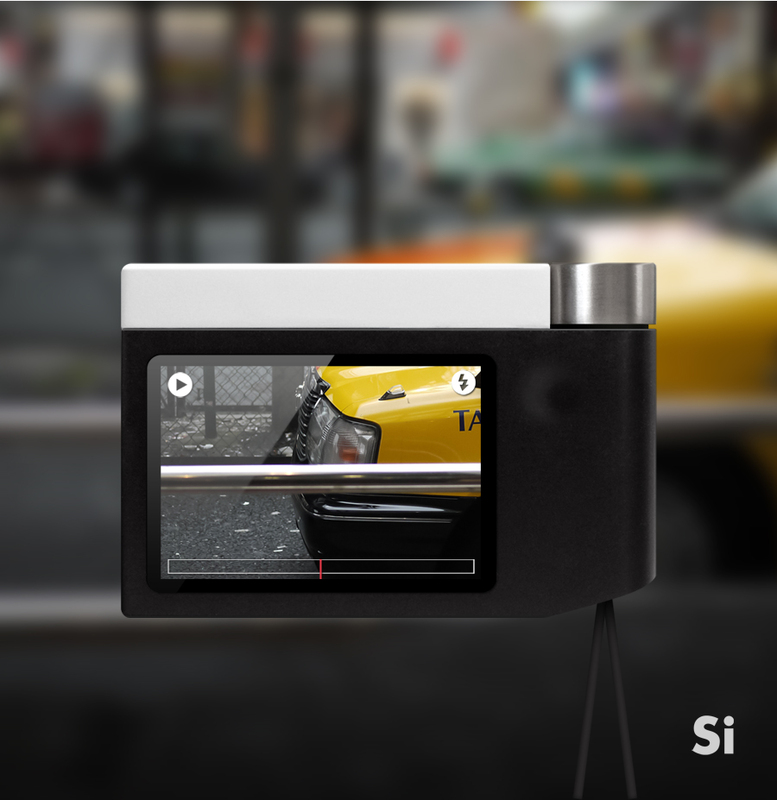 Si features a built-in strap that helps the user keep their investment safe. It also prevents the user from going through the struggle of feeding the strap through the pinhole sized loops that are found in most cameras. Naoto Fukasawa often explores the idea of what a “normal” product should look like. I have decided that an honest digital camera should look like a rectangle, as the CCD sensor is of that shape. 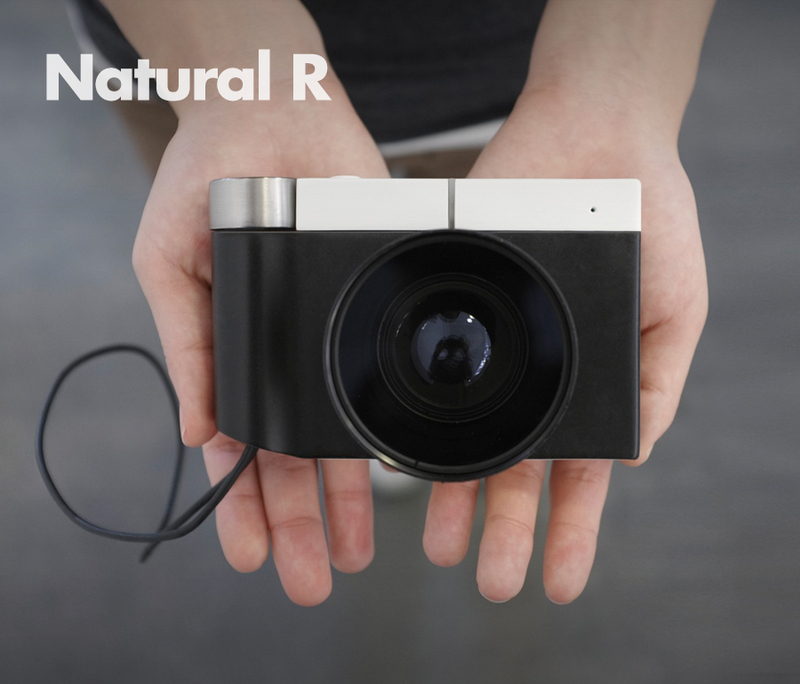 Some designers believe we should move away from this shape as we no longer use film. The reality is that the sensor is still a rectangle, and we can fit a square peg into a round hole. 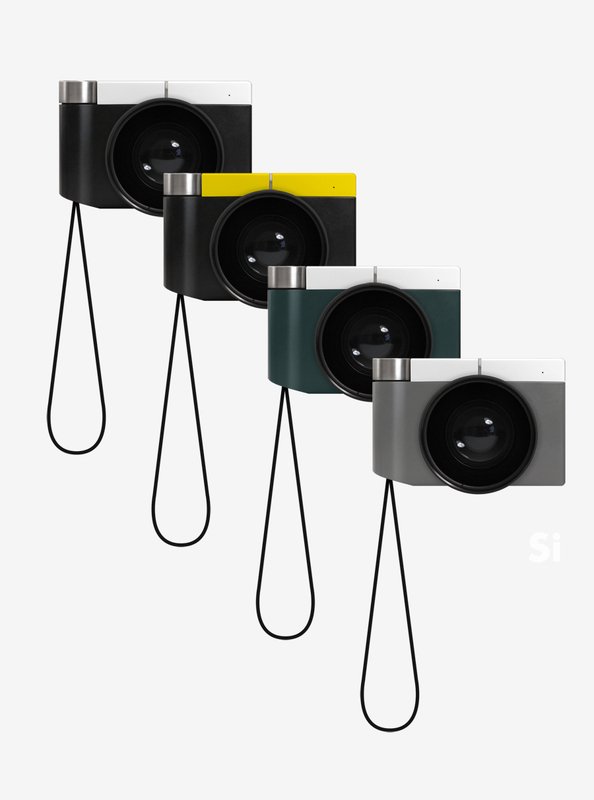 Si is a camera with a normal shape that doesn’t get tired. Naoto Fukasawa used the corner radius, 2.5mm as a “natural r” for a series of products. The radii was determined by manufacturing processes. I decided to interpret this idea slightly differently by using a smaller radii that look as if they were created by being worn down by use over time. It’s like the edges of a wooden table in your grandfather’s office.